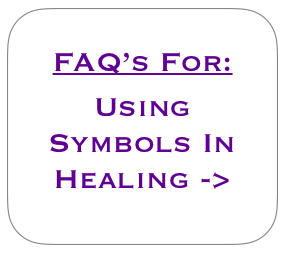 How Many Healing Symbols Are There? How many symbols are there? Unfortunately this is a question that we are unable to answer. However we can say that amongst the healing energies that Love Inspiration has received, there are quite literally hundreds of different symbols that have been received throughout the Ascension Pathway and other energy based healing systems. And this doesn't include the many other types of symbols that have been received by other Guru's, spiritual teachers and the like. For example, there are many different kinds of sacred symbols embedded into the different religions of the world and through the ages with more recent examples being the Star of David from the Jewish tradition, the Aum (Om) symbol from Hindu tradition and the Yin Yang symbol from the Taoist tradition. Each of these symbols are said to contain different energetic frequencies which are beneficial to a person's spiritual practice and throughout our healing systems, we also use a variety of symbols. Some of these have been received from our spiritual teachers here on the Earth plane (through the Usui Reiki lineage) whilst others which have been received through a wide range of 'higher spiritual beings' or 'spiritual guides'. We offer all of these beautiful symbols and energetic frequencies with much love in the hope that it helps you find love, light and happiness in your life.